For side and stomach sleepers, pillows can pose the biggest obstacle. They don’t offer breathability or neck support. Sleeping with your face smushed into a pillow is seldom very comfortable and that discomfort can keep you up at night. As a combination side and stomach sleeper myself, I needed a good face-down pillow. I decided to start sampling pillows on Amazon and compiling a list of the best and worst ones. Here is my best list so that now you can find the face-down comfort I have found. Read on to find your best face down pillow. Overview: A block with a wedge cut in it, this pillow allows you to lay down and still breathe easily. 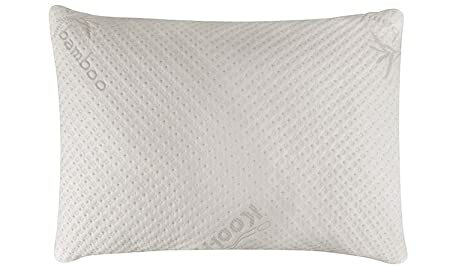 Review: I found this pillow to have a great texture and a soft feel. But when I laid on it, it was too stiff. The stiffness only went away after several months, while the pillow remained fluffy. Perhaps I just got used to it. This is a great option for those who like tall, lofty pillows. Overview: Shredded memory foam is guaranteed to never lose its shape or go flat. It has a removable breathable cover that can be washed. It is hypoallergenic and cool. Made in the USA, it is hypoallergenic with eco-friendly Certipur-certified foam. Review: Overall, these were great at first. They helped with my neck pain. I suffered no heat problems, sweating, or allergies with them. However, they flattened after a few months. I had to contact the company for more foam. Once I added this foam, they hardened considerably. They were excellent for a while, though. 3. 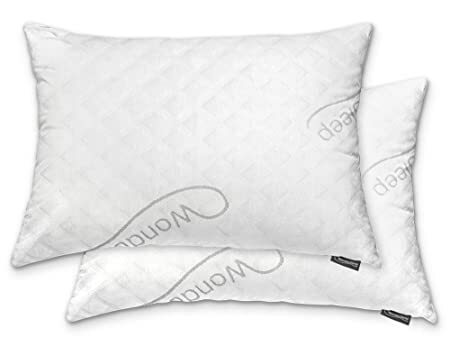 Wondersleep Premium Adjustable Loft Bamboo Memory Foam Pillows – Editor’s Choice! Overview: These pillows are adjustable so you can find your ideal loft. You can add or remove foam easily. They are eco-friendly, soft, and cool. The cover is removable and washable. Containing 60% polyester, they are made from bamboo to be sustainable. Review: I unpacked these pillows and instantly felt the quality. Sleeping on them was like sleeping on a cloud. I had zero neck pain the following day. I enjoyed the fact that I could customize the loft to my needs. They came too thick, but I was able to remove foam easily and find my perfect loft. The cover feels soft on your face and washes easily. They appeared flat at first but gained loft as they outgassed. 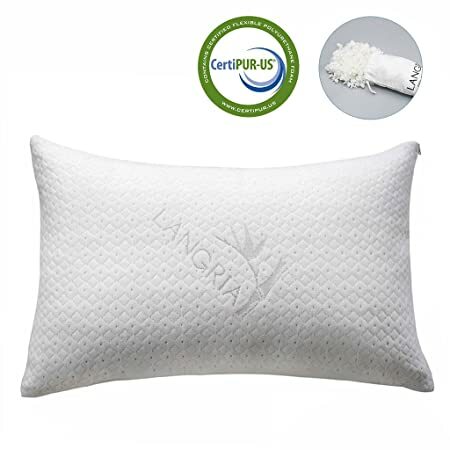 Overview: This is an affordable shredded memory foam pillow with a bamboo and polyester breathable cover. The pillow is adjustable, making it easy to find your ideal loft. The shredded foam is in pieces to allow for breathability and coolness. It is hypoallergenic and odor-free. Review: This pillow gave me sweet dreams for the first several months. I truly did stay cool all night and the cover felt soft. It was easy to remove foam to get my ideal loft. However, I had to add foam over time as the pillow flattened. After two years, it is totally flat and I had to order replacements. For the price, however, this is still a bargain. Overview: The polyester-bamboo cover is washable and covers a comfortable shredded memory foam fill. It is durable and not supposed to go flat easily. The cover is washable and fairly breathable. The pillow is hypoallergenic. The fill is adjustable to find your sweet spot. Review: This pillow felt very lofty and soft. I took out some foam and had a great sleep experience. When summer hit, my sweating issues sprang up and this pillow did little to satisfy them. I washed it regularly with no issues. The pillow kept its spring for a good nine months before starting to go flat, in which case I just added more foam. If you tend to smother yourself while sleeping, get yourself a nice face-down pillow. These pillows are a dream come true for stomach sleepers. 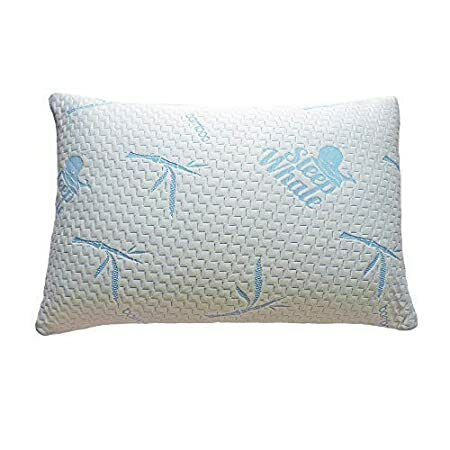 Amazon has a host of these pillows at competitive prices, so go check them out! It’s about time you had a good night’s sleep.